American Agri-Women at the 36th annual national convention. 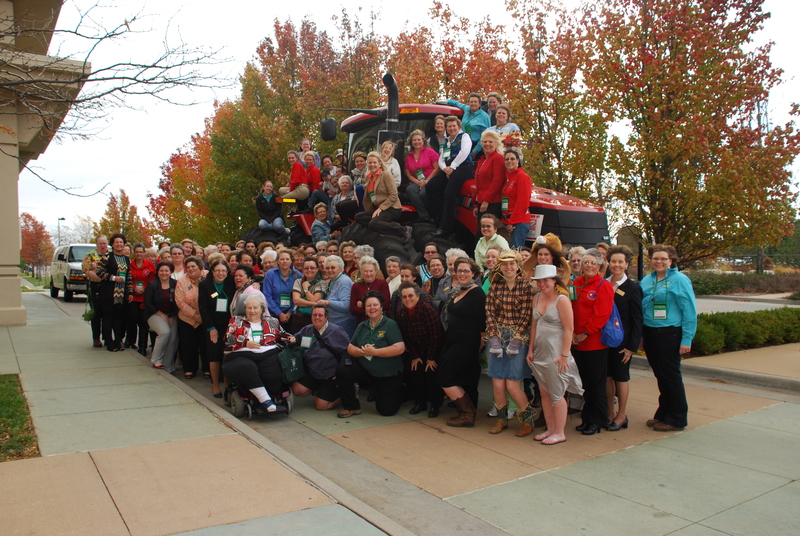 American Agri-Women (AAW) recently held its annual national convention — its 36th — in Wichita. Our convention had the framework of any other convention: keynote speakers, breakout sessions, officer elections and awards ceremony. That’s where the similarity stopped. First, this convention was entirely coordinated by volunteers. There was not one “staffer.” Members secured the location, speakers and sponsors; arranged tours and meals; coordinated the business proceedings; devised out-of-the-ballpark themes and decorations; and attended to every last detail from registration forms to audio-visual needs to workshop signage. Members didn’t just attend sessions in bland, sound-proof conference rooms. We broke free to venture out to see ag operations — grain elevator, wildlife preserve, ethanol plant and more. And, perhaps most distinctively, members embraced each other as family. This family doesn’t share genetics. Instead we share a passion for agriculture. “Passion” is one of those overused marketing words. However, there is no other word that fits. Members of other professional organizations share a loose bond, often based on occupation or industry, such as marketing, PR, etc., etc. AAW members share a lifestyle, a heritage, a legacy — producing food, fiber or fuel. We either live on family farms, go back to work on our family farms, or support family farms in our businesses. We didn’t just listen politely during presentations. We asked questions. We challenged. And, we sometimes disagreed. Ag is serious business, after all, with major obstacles to how our legacy survives, and how we produce goods in a sustainable, responsible and profitable manner. Only a family can stand up to that kind of challenge. There’s always room for more at the family table. So, if you eat, consider joining us: www.americanagriwomen.org. Great to see you at the conference! So cool to be a part of such a powerful group of #rockinruralwomen! Great to see you, too. What an amazing gathering. Have a wonderful Thanksgiving. Will you have pork roast alongside your turkey? What a great time it looks like you had! I’m hopeful that I can meet up with you at one of these in the future. Definitely, Tammy. Maybe next year we can connect IRL? Convention is getting closer to you — in Denver next year in early November.